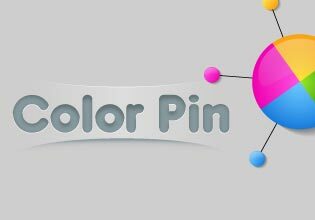 You'll love playing Color Pin! It's fun and cool for everyone - boys, girls, kids and adults. Whether you wish to fight off boredom, or have some fun, the cool logic game Color Pin is ready to download for free. On your phone or tablet, this fun logic game will be with you wherever you go. Its levels are aimed at strengthening your perception skills, with increasing intensity and increasingly harder obstacles.